Hanoi (VNA) – The Asian Development Bank has announced low-interest loans worth 1.75 billion USD to help Myanmar improve infrastructure, and promote education and rural development for 2017-2021. The ADB’s President Takehiki Nakao told the media in Yangon on June 15 that the bank will increase its annual lending from 150 million USD to 350 million USD, even more, for Myanmar. 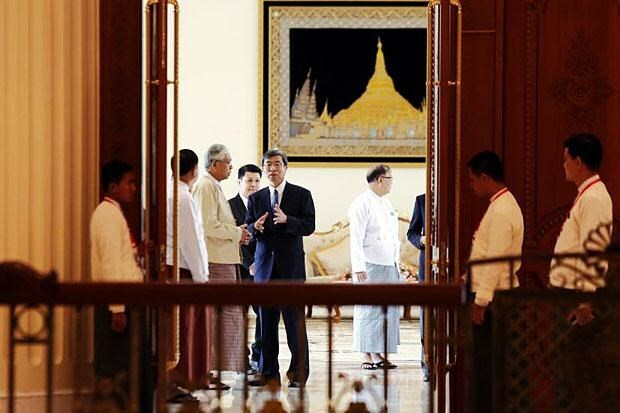 The spending will be aligned with the Myanmar Government's development priorities, and will be included in the Southeast Asian nation’s economic development plan in the next five year. ABD’s loans target Myanmar’s projects on training human resources, which aims to take advantages of the country’s young workforce, Nakao noted, adding that some education reform projects with the focus on vocational and technical training will be performed as well. Additionally, infrastructure projects for electricity, which play a key role in the country’s socio-economic development, will be also invested, he stressed. According to the United Nations, up to 70 percent of Myanmar's 51.5 million population live in rural areas, where basic infrastructure like roads and electricity is poor in many places.